BPT understands and believes that the only reason to have property is to be a tool for your businesses or organisations to be more prosperous, efficient and fun. We are focused on our clients growth and prosperity and firmly believe that we can use our skills, knowledge, networks and asset bases to help any clients business or organisation grow. If you could have a wish list of your organisations property requirements to help create the dream that you have for your organisation and company what would that be? 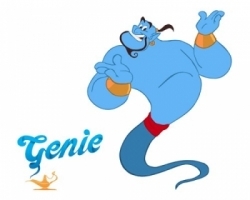 Why don't you ask the BPT Property Genie to help you. Its a no obligation service that prompts you for your honest, no limits ideas on your business or organisations property wish list. One of our team members will be so grateful for the opportunity to do some work and be back to you promptly with some ideas. You maybe surprised at how achievable and easy your wish list could become your reality. Where do you want to be geographically? Where do you want to be in 5 years time with your organisation? Security for stakeholders leaving entering premises? What image do you want to promote of your business?